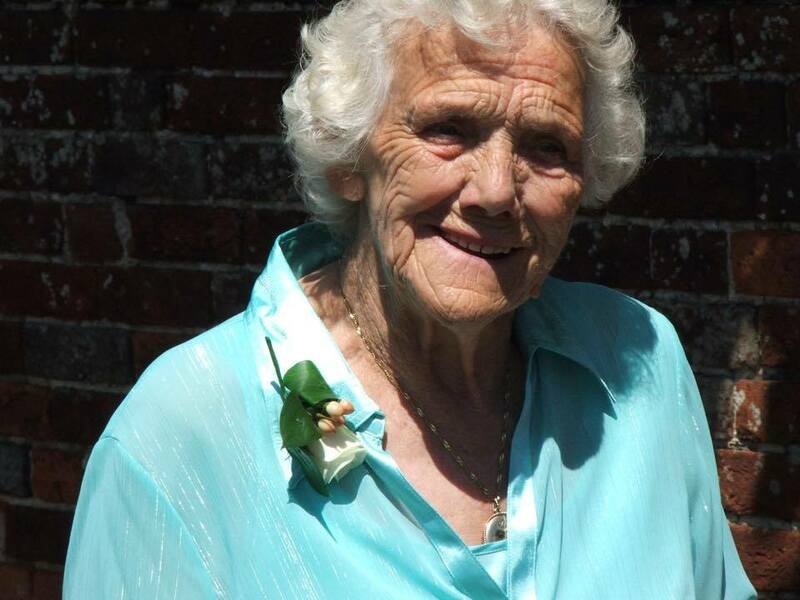 A Thanksgiving Service for the wonderful life of Beatrice Elsie Musgrove. Heavenly Father, We come into your presence in the name of your Son, our Saviour The Lord Jesus Christ. In all our dealings we acknowledge you as Sovereign Lord. Be with us here this morning to comfort, to guide our thoughts and to help us worship You for Your love and as we honour the memory of this wonderful lady. On behalf of Beat’s family, I would like to thank each one of you for being here today… and though today is a very difficult day the family do not want it to be a day of mourning but a day of celebration. Today we come to remember Beat’s life and reminisce over all the special moments that we had with her. Beat was a lovely lady. She was kind, thoughtful and was as honest as the day is long. We haven’t come to Bethesda Chapel today because Beat has died, we have come because she lived and her life touched ours for good. We are here today to celebrate her wonderful life. In the difficult times of life I often find that our words often fall short of what we would like them to say. But it is then that the Eternal Word of God speaks to us with peace and understanding, all we need to do is listen! These words come from Psalm 46, Beat’s favourite Bible passage; they written many centuries ago. They may seem like ancient dusty history to many who look from a distance. But if we listen, as Beat did, the Bible speaks to us with words that can bring comfort and hope. Therefore we will not fear, though the earth give way and the mountains fall into the heart of the sea, though its waters roar and foam and the mountains quake with their surging. As a famly we hope and pray that those of us who mourn will find comfort and strength from today as we celebrate Beat’s wonderful life. We would do well to remember that this life is really a preparation for the Life to come, and for those of us who love God, when we have accomplished our work on Earth we are called to continue that work in a better place, where there is neither death, nor pain, nor crying. That which is so dark and heart-rending to us, in this case, is precious in God’s sight—one of His children has gone home. Beat has gone – from struggles and weariness of this life into a better place. A ship at my side spreads her white sails to the morning breeze and starts for the blue ocean. I stand and watch her until at length, she hangs like a speck of white cloud just where the sea and sky come to mingle with each other and someone at my side says ‘She is gone.’ Gone where? That is what dying is – a horizon and just the limit of our sight. Psalm 46 – For the director of music. Of the Sons of Korah. A song. Heavenly father we acknowledge your presence here, and come into your presence this morning as family and friends of dear Beatie. We are here because we love her and miss her and we want to cherish our memories of her, we want to honour her life and honour her and support one another as we grieve her passing from us – a passing from life here with us to everlasting life there with you O Lord. Father, we thank you for Beat! You formed her, you knew her, you walked with her through 91 years, and even now we have confidence that she is in your presence. We thank you that you are a God of mercy, who promises to comfort us, particularly when we lose our loved ones, and so in these moments now, and in the weeks and months ahead, please bring comfort and mercy to us as we remember, and share fondly all that this lovely lady was to us. In the name of Jesus our Saviour we pray. A poem read by Mercedes Musgrove – Death is nothing at all. On behalf of my brother, Rob, and sister, Jean, I would like to share some memories of my mother’s life with you today. 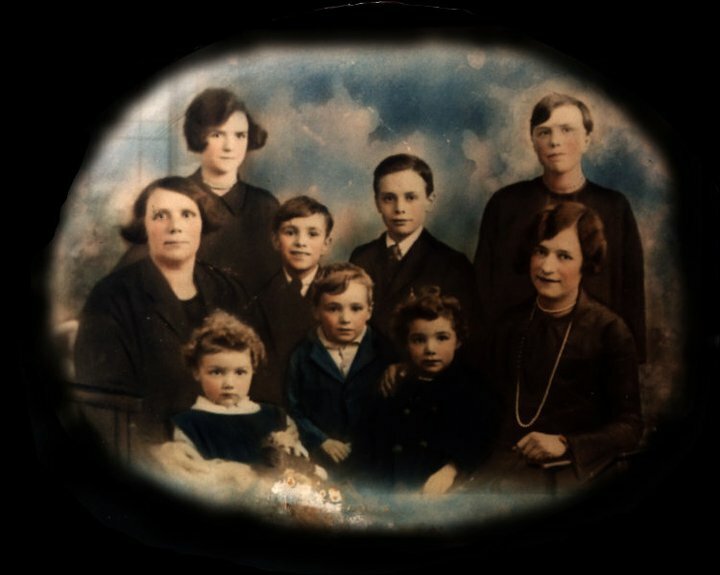 Mum was born in November 1922 (and would have been 92 last Monday) in Cardiff where she lived with her dad George, her mother May and seven brothers and sisters. May, Gertrude, Ethel, William, George, Idris then Beat and soon after Grace. The family home for the young Bateman family was in Knowle Street, Grangetown. Bringing up eight children today would be a huge struggle, and I can barely comprehend what life in the 20’s would have been like. It must have been devastating for the family, when, at the tender age of 42, George, Beat’s father passed away; she was only 3 years of age. When mum reached her teens, she watched her beloved brothers go to war and Beat being Beat, wanted to do her bit, and often told us of her desire to join the land army. 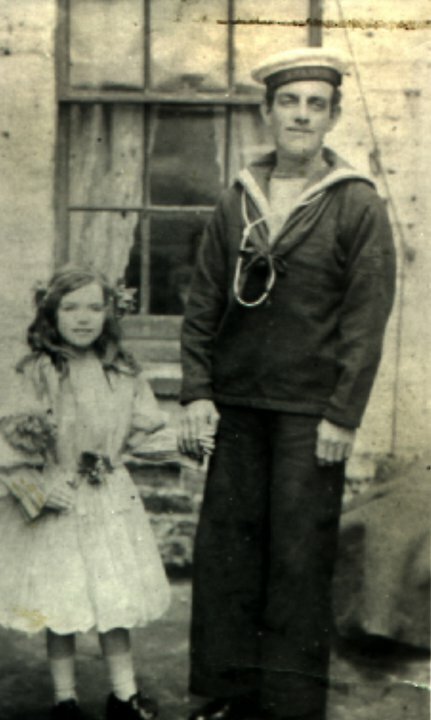 However, Beat’s boss Mr. Jones, the grocer, was not going to give up his hard-working shop assistant without a fight and offered mum an extra 10 shillings a week to stay and that started a long career in the grocery trade. My mother’s kindness and love for her nieces and nephews meant she would spend many hours helping her sister Gertie in her spare time. 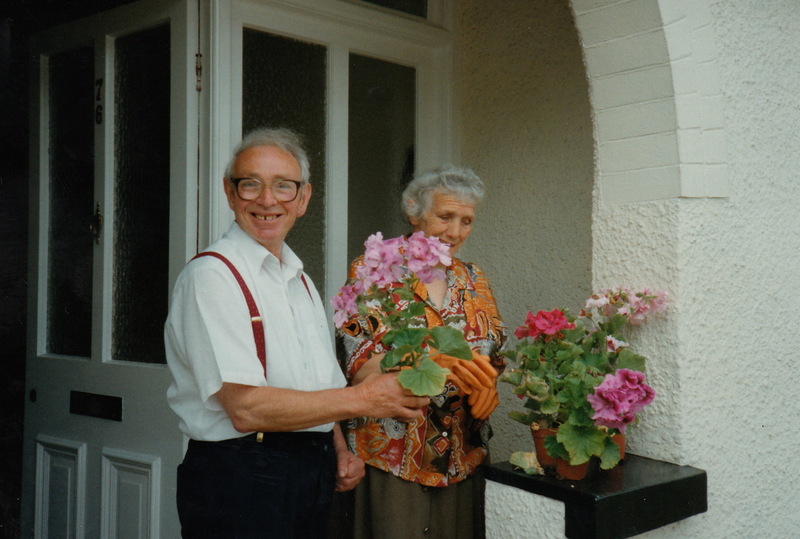 Gertie would often take in lodgers at home in Coldstream Terrace, Riverside and this is where Beat first met her one and only love, Joseph Ainsworth: charming, smart and stylish – a real English gentleman and in 1950 they were married. It was only a few years later that Robert was born and then twins, my beautiful sister Jean. Jean’s twin brother, John, sadly survived only a few days after both were born premature. Mum would love to tell us how small Jean was when she was born. Holding out her hand, she’d say, “I could fit her in the palm of my hand”, as she only weighed the same as a 2 pound bag of sugar (she’s a little bit heavier today, but just as sweet). The family was complete in 1961 after I (Gareth) was born. 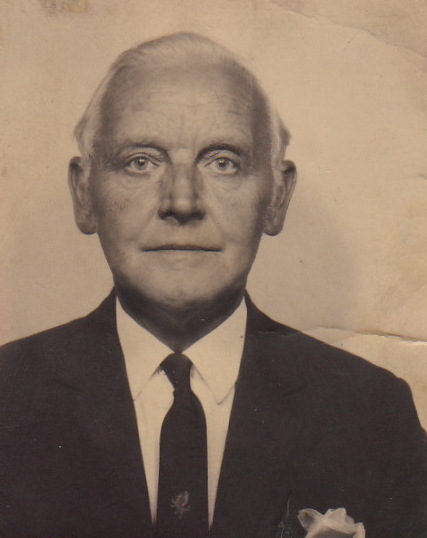 My father had by now left the funeral director’s James Summers, where he had been highly regarded and respected and was working for Beat’s brother Idris as company secretary of Bateman’s the Welsh Grocers. We all have fantastic memories of growing up in Waun-y-Groes Road, and can recall fondly our loving aunts and uncles, cousins and neighbours. One memory stands out the most, and that’s of the family night-in, waiting patiently in our living room with the projector set up and ready to go; then my father would give the order for lights-out, and the cine films of that summer’s holiday – with Auntie Grace and her family or New Year’s Eve at Auntie Kitty’s – would spring into life. My Dad must have had great vision as the family films have given us hours of pleasure over the years. I also have fond memories of music growing up, and It was only when compiling my notes for today that I realised the reason for my unbalanced music tastes: Gilbert & Sullivan for breakfast, the Beatles for lunch, ‘Hey Hey’ we’re the Monkees’ for tea, and probably the Seekers for supper. 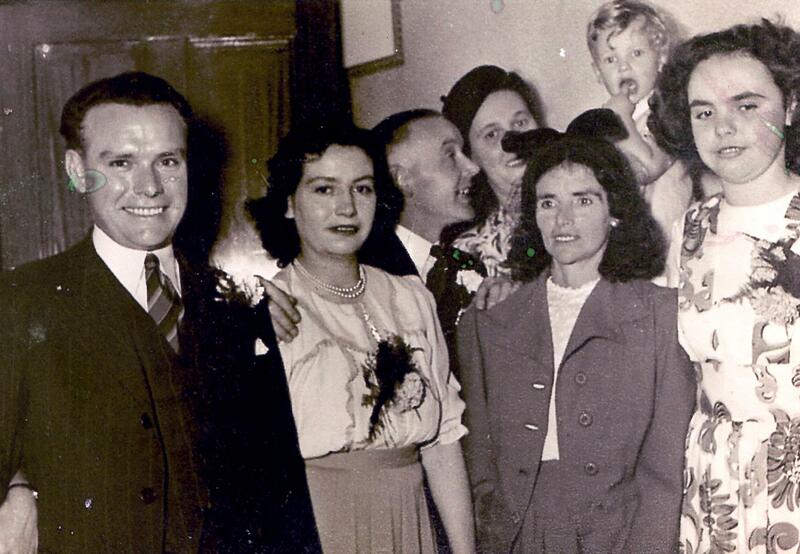 In early 1974 our lives changed forever; and for my mother especially, when my father died. I believe the passing of my father was the start of a broken heart that just didn’t heal and would see her grieve for the rest of her life. I know these must have been very difficult times for mum, often going without to ensure we didn’t. I can recall her cycling 5 days a week from Rhiwbina to Merthyr Road to work in the supermarket – this just typified my mother and her generation. 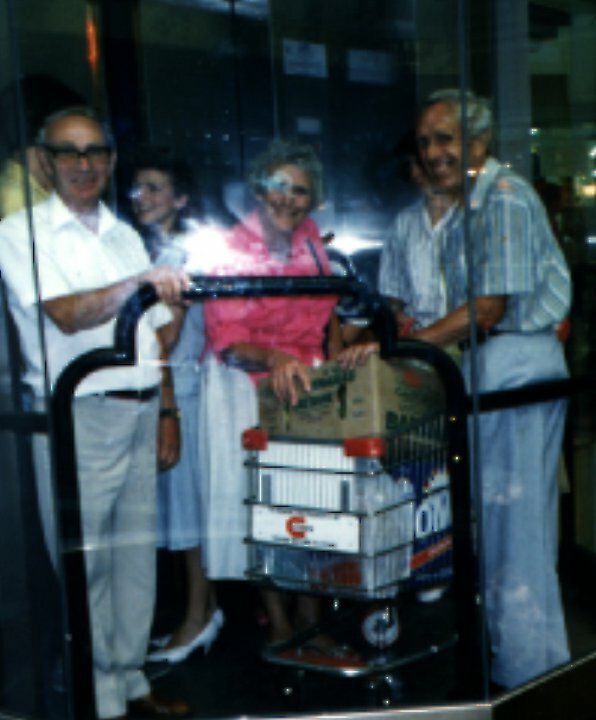 After a late shift working on the wines & spirit counter, mum started her bike ride home, when one of the two bags of shopping hanging from the handlebars hit the front spokes in the front wheel, and my mother was catapulted through the air. Pushing the bike and carrying the shopping for the remainder of the journey, mum arrived home with a swollen ankle. Early the next day she walked to work (probably the same distance as from Dinas Powys to Penarth sea front); and a visit to the CRI later that day, prompted by Roger & Jean, would result in an X-ray showing a broken ankle in three places, needing a steel plate. That story, I believe just proves what a resilient lady Mum really was. After Beat retired, she would love to spend time with her brothers George and Idris, and with life-long friend Auntie Ciss. Some time after moving to Dinas Powys in 1997, my mum had the onset of Alzheimer’s: a horrible disease that gradually stole her most wonderful memories. Although in the last few years mum’s health gradually worsened, I know her love for her children, grandchildren and great grandchildren remained resolute; and you could see how she enjoyed visits from her great grandchildren, Mia, Alfie, Millie and Lois. Sadly, on the 5th November, our beautiful, caring, wonderful, loving mother slipped away peacefully at the Waverley in Penarth, surrounded by her proud family, who are confident in the knowledge that she will now spend an eternity with my father. As we gather here this morning to remember the dear and precious life of Beat, I know that many of you are dealing with mixed emotions. Today our hearts are sad, but they are not sad for Beat, because she is in a far better place, but sad because we have lost a dear loved one. Beat was a woman of simple faith. She enjoyed life’s simple pleasures. There was nothing pretentious about her. She liked things down to earth, plain and simple. Beat did things – all kinds of things – above and beyond the call of duty. For her, real life and real living were always about others – how she could help them, care for them, and serve them. Just before her mother died she asked Beat to ‘Look after the boys!’ She did it wonderfully well. She was born into poverty, spent much of her early life caring for her mum and then went on to live for over 40 years as a widow but never forgot the need to share her things with others, for us as a struggling young family it was the occasional fiver or some dented tins from International. For others it was a simple bar of Cadbury’s of which she seemed to have a never-ending supply. Beat received many gracious gifts from God. Most important, of course, was the forgiveness that she received from her Saviour and His promise of eternal life. Another gift that she received from God – a gift that she used every day, was the gifts of caring and hospitality. If she knew someone needed help; Beat was there ready to do whatever needed to be done. Jean’s friend Val came to live with Jean when things got difficult at her own home. The Bible tells us that death is not an unforeseen accident. We read in the Old Testament book of Ecclesiastes… There is a time to die. It is not something left out of the purposes of our Creator. It is something planned and necessary in the sight of God. God knew Beat needed rest. It is an appointed event that will come to all of us. This morning as we mourn her passing, we can also give thanks for Beat’s life. This can be a celebration of a life well lived, a life that impacted all who knew her. I believe life is a gift from God. God has made us and given us life. God has blessed our life and made it full of experiences, people and events. Each day we live is a blessing and a gift from above. Beat was a person who was given to us by God. We had the privilege of knowing her and loving her and walking along the path of life with her. In knowing Beat we have, hopefully become better people. We have stored memories and experiences. These are gifts from God. Gone is the chance to tell her things you wanted to say. Do you wonder how you will deal with it? The best way is with the promises of the Bible. Beat had a relationship with God that carried some wonderful promises. Some of the promises are found in John chapter 14:1-6. Let me read that portion of scripture to you. “Let not your heart be troubled; you believe in God, believe also in Me. In My Father’s house are many mansions; if it were not so, I would have told you. I go to prepare a place for you. And if I go and prepare a place for you, I will come again and receive you to Myself; that where I am, there you may be also. And where I go you know, and the way you know.” Thomas said to Him, “Lord, we do not know where You are going, and how can we know the way?” Jesus said to him, “I am the way, the truth, and the life. No one comes to the Father except through Me. The First Promise to us is that we don’t have to fear death. We are troubled when we don’t know what is going to happen when we die, but Jesus has taken the fear out of dying. We are troubled when we view death as an end instead of a new beginning. Beat’s life is not over, as a matter of fact, a new phase has just begun. Our earthly bodies die, however our heavenly bodies endure for all eternity. The second promise is that Jesus prepares a place for us in Heaven. It’s a place with no more sorrow or crying. Heaven is a place where the hurts and disappointment of this world are no more. Where the frustrations of life are replaced with unspeakable joys. It’s a place with no more pain and a place of great beauty. The Third Promise found in our reading is that He personally receives us. Now I want you to picture this, the moment that Beat took her first breath in Heaven, God was right there to welcome her. And for Beat, she experienced a love that we can’t even understand. A love that forgives every failure that she had in her life. A love that mends the hurts only she knew. A love that understood every feeling that she had. It is an unconditional love that completely satisfies the longing of her soul. Beat knew these promises and had a faith in God. Remember her…. Rob, Lyn, Boo, Gareth and Mercedes – as your wonderful mother and mother in law, Marc, David, Paul, Kate, Gareth, Bethany, Caroline, Richard, James and Sarah you can remember her as a loving gran and a wonderfully funny Nana Muz. As a family we must make sure that Emily, Ryan, Theo, Josh, Emily, Alfie, Mia and Millie will remember her as Nanna Muz – a cool great grandmother and a great role model for them and someone who taught us so much. Always remember the love that he had for children, her family, the community…. the poor times of her childhood. Remember the fun times. The Bible tells us – there’s a time to mourn and a time to laugh. Remember her example. Remember the times – when she pretended to be Supergran, when she imagined herself being a heavyweight boxer. Beat had a way of drawing out the best from people…. Another lesson… never owe anybody a penny! Loyalty – her devotion to her husband was inspirational and a lesson to us all. Our biggest gift to her now is to be thankful that she is at peace and to seek to be as strong and courageous in our loss as she was in throughout her wonderful life. May God bless her memory to us. Hymn: How Great Thou Art. I commend to you those memories that are yours alone. The Beat that you knew was special to you as a family in ways that no one outside could know. You have every reason to be proud of her life. I commend you to the care of Almighty God and trust that you will find the strength and peace that only God can bring. We have gathered together today to remember a precious life and to say goodbye one last time and celebrate the life that she enjoyed here on earth and thank God for all the precious moments and memories that we have had with her. Her life has touched so many in so many different ways. We have also come together to bury the ashes of Ainsworth, beloved husband of Beat. Separated for 40 long years, but now resting together. We believe they are reunited in heaven never to be separated again. In doing this we recall that our bodies bear the imprint of the first creation when they were fashioned from dust; but in faith we remember, too, that by the new creation we also bear the image of Jesus who was raised to glory. Beat has now joined Ainsworth in heaven – in the place that was prepared for her and we commend her into the loving arms of Jesus and that hope of eternal life in Christ. It is tenderly and reverently that we commit her body to the grave. The body returns to the earth, from which our bodies came. The spirit returns to God who gave it, waiting for the day when both spirit and body shall again be united at the coming of the Lord. In the light of the promises God has given us in His Word and in as much as it has pleased the Lord in His sovereign wisdom and purpose to take from us someone we have loved, we now commit her body to its final resting place to await the fulfillment of another promise of Scripture. Brothers and sisters, we do not want you to be uninformed about those who sleep in death, so that you do not grieve like the rest of mankind, who have no hope. For we believe that Jesus died and rose again, and so we believe that God will bring with Jesus those who have fallen asleep in him…. And so we will be with the Lord forever. Therefore encourage one another with these words. Since it has pleased Almighty God in His great mercy to take to himself the soul of our dear Beatie, we commit her body to the ground – earth to earth, ashes to ashes, dust to dust in sure and certain hope of the resurrection to eternal life, through Jesus Christ our Lord, who will transform our lowly bodies, so that they will be like His glorious body. Having committed Beatie’s body to the ground and her Spirit to Jesus we can now say: “Thank you for all you have given to us in your long and loving, life.” And we must make a promise to each other… The good Beat has shown to us during her life we must go from this graveside and show to others. Faithful God, Lord of all creation, you desire that nothing redeemed by your Son will ever be lost, and that the just will be raised up on the last day. Comfort us today with the word of your promise as we return the ashes of our brother Ainsworth to the earth. 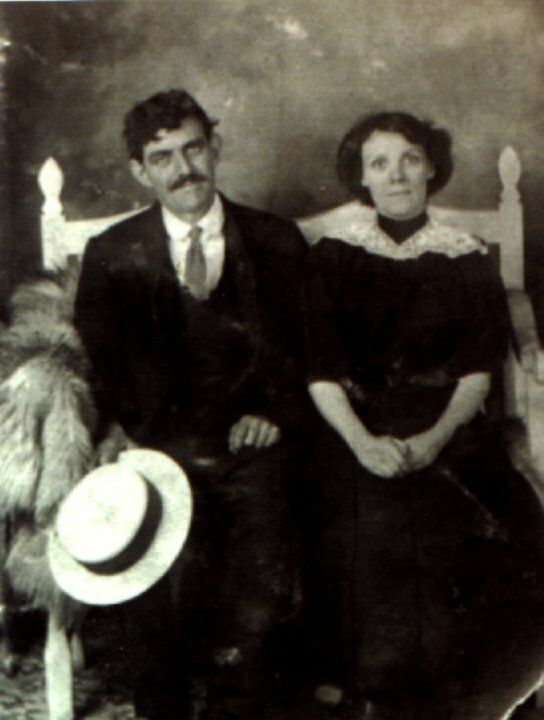 Grant Ainsworth and his beloved wife Beatie a place of rest and peace. Confirm us in our hope that they will be created anew on the day when you will raise them up in glory to live with you and all the saints forever and ever. Even though I walk through the valley of the shadow of death, I will fear no evil: for You are with me; Your rod and staff they comfort me. You prepare a table before me in the presence of my enemies: You anoint my head with oil; my cup overflows. Surely goodness and mercy will follow me all the days of my life: and I will dwell in the house of the LORD forever. May the peace of God, which is beyond all understanding, keep your hearts and minds in the knowledge and love of God and of his Son, our Lord Jesus Christ. May the love of God and the peace of the Lord Jesus Christ bless and console us and gently wipe every tear from our eyes: in the name of the Father, and of the Son, and of the Holy Spirit.